It is with profound sadness that we announce the sudden passing of Jamie Lance Desmond, loving father, grandfather, brother and friend. Jamie was predeceased by his wife Lynn Desmond and his parents Audrey and Henry Desmond. Left to cherish his memory are children Jennifer and Shaun (Tammy); grandchildren Austin, Jared, Tyson, Dylan, Audrey and Sloane; and brothers Sterling (Rea), Terry (Ingrid), and Lindsay (Kerri) along with their families. Jamie was born on September 20, 1959 in Winnipeg as the youngest of four brothers with whom he was very close to. He married Lynn Desmond in 1980 and soon after they had two children together, Jennifer and Shaun. After Lynn’s passing, Jamie and his mother Audrey developed a very strong bond and relationship and continued to be close until her passing earlier this year. Jamie will be remembered as the most kindhearted, genuine and loving man, always putting others before himself. His sense of humour was like no other and his infectious laugh was enough to make anyone smile. As much as Jamie was proud of his children, there’s no denying that spending time with his grandchildren was what brought the most joy and pleasure to him. Watching them grow and sharing moments with them gave him a sense of pride and happiness. 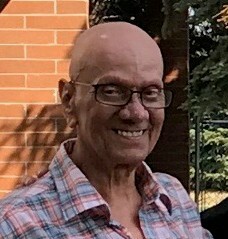 After retiring from the Winnipeg School Division, he enjoyed many aspects of life including spending time with his grandsons and attending their school and sporting events, watching and collecting pieces of his favourite Trekkie and Star Wars movies and going on trips. Jamie was an avid traveler who enjoyed his many vacations with family and close friends Bill Klose and Chris Ostaffy to places such as Cuba, Mexico, Florida and Vegas creating lasting memories that Jamie always cherished. We would like to thank everyone who has helped dad over the years, notably his brothers and close friend Bill. Flowers are gratefully declined, if friends so desire, donations can be made to a charity of their choice. There will be no service. “Live you will, in our hearts you must always be.” Until we meet again, Martian Man.